For many college students, internships have proven vital to professional development. They provide a pathway to job placement and foster everyday life skills. For the Congressional Black Caucus Foundation (CBCF), internships are specifically critical for students of color. Its internship program has been molding future black government officials, policymakers and advocacy leaders since 1986. 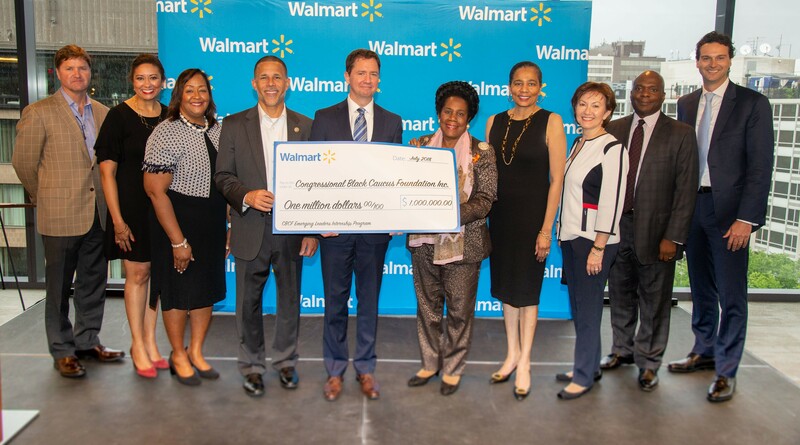 On July 24, the CBCF received a $1 million grant from Walmart that will go toward the betterment and expansion of the 40-year-old historic organization's internship program which aims to produce more black leaders on the local, state and national level. Earlier this year, Blavity reported on the Foundation's announcement to provide $4 million in grants to organizations committed to strengthening communities through diversity and economic mobility. A study by the Pew Research Center reports people of color currently make up less than 20 percent of lawmakers, and CBCF's mission is to change that drastically. "Internships geared specifically toward budding professionals of color are important because historically black and brown individuals have been left out of the room and have had no voice when it comes to making decisions that affect their communities," CBCF public relations specialist Marc Banks told Blavity in a statement. Since the organization's inception in 1970, its mission has been to increase the odds of young black students becoming public service leaders either on Capitol Hill or in their respective communities. The grant is significant during the rapid increase of rent (aka gentrification) in Washington, D.C. When out-of-state interns are selected, they, in turn, need lodging. "When a student or recent graduate applies for a CBCF internship, they can do so without the weight of worry when it comes to housing, stipends and access to professional development," Banks said. Students can bet on having an enriching experience without the burden of finances through the program. Also, during today's tumultuous socio-political climate, many young black people are interested in learning how to cultivate change, how to combat specific issues and fight for rights and policies. "A government by the people and for the people should reflect the people," Banks continued. "For the CBCF, the first step to ensuring there is diversity is the standard to make sure interns of color can be exposed to the processes that affect change." If you've been inspired to create change, speak on or against pressing issues or if you know a future black government official, visit cbcfinc.org for more information on internship opportunities.